In addition to its collaborators, Théâtre Aphasique receives support from generous members and donors during its annual fundraising campaign. 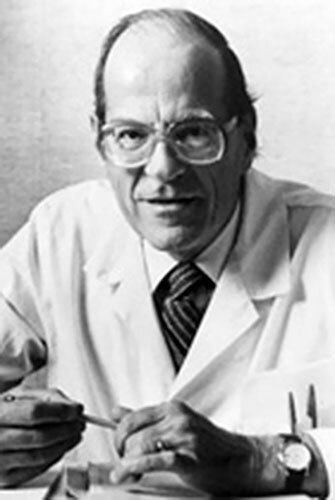 Dr. Paul David (1919–1999) was an emeritus scientist and a great humanitarian. He founded the Montreal Heart Institute with the Grey Nuns in 1954. As a true father of cardiology in Quebec, he always believed that technological advances in the medical field must rhyme with psychosocial aspects in a disease. Three months after starting his retirement in 1985, David became senator while continuing to commit to the Institute and other charitable projects. In 1992, Dr. Paul David had a massive stroke, leaving him aphasic and partially paralyzed. Despite his condition, he took care of his loved ones and had a persistent interest in everything that happened in the world until his death. As a tribute to ideals, great humanitarianism, and love of their father’s life, Pierre David and his sister, Anne-Marie, created a foundation in his honour in the fall of 2000. This foundation has supported many organizations geared to helping people with aphasia carry out various projects for the past 10 years. In the summer of 2010, it was decided to focus their efforts on one organization with a continual, solid network. The foundation has since ceased its original goals. It continues to conduct its mission through the Dr. Paul David Fund, which is fully managed by Théâtre Aphasique and dedicated to its activities. Pierre David would like Théâtre Aphasique to carry on through associations geared to people with aphasia via collected donations and money he gives to the organization, and through dramatic art workshops and plays. 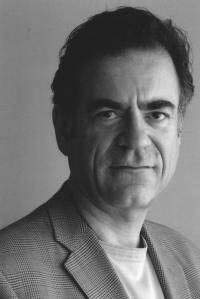 Born in Montreal and Dr. Paul David’s eldest son, Pierre David always worked in the media and entertainment spheres. He started his career as a public relations officer and show producer before focusing on film production and distribution (including approximately 20 successful Quebec films). He has been living in Los Angeles since 1983. Pierre continues to produce Canadian films and deliver them to international markets.